Located at Ibrahimbagh on Gandipet Road and just outside the Golconda Fort, Taramati Baradari is one of the popular monuments of Hyderabad. 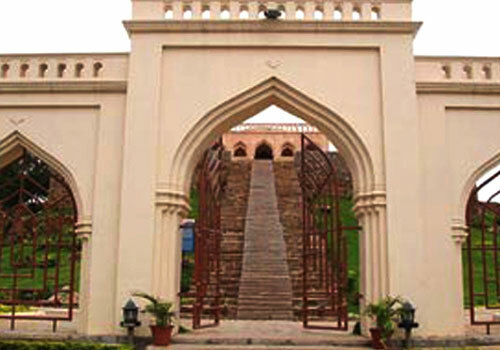 Taramati Baradari is consisted of a music hall with 12 entrances. It was used an an auditorium. Taramati has been situated on the top of the hill, which was done so as to avoid any disturbance to the sound from the population of the surrounding area. Its hall is spacious. This huge structure is in the shape of semi-arch; it opens into an art gallery. Taramati Gana Mandir and the Premathi Nritya Mandir are the places where both legendary sisters Taramathi and Premamathi have resided. Both the sisters used to perform at two separate pavilions which are circular dais atop a two-storied structure. Both the baradaris are located at a distance of few kilometres from each other. These monuments have legend behind them. According to tales, Taramati and Premamati, the two dancers and courtesans of the Abdullah Qutub Shah who was the 7th Sultan of Golconda, used to often perform dances on a rope that was tied between Sultan’s balcony and their place. However, similar to his Grandfather, the founder of Hyderabad, who had courtesan Bhagmati as his favourite; Taramati was the favourite dancer of Abdullah Qutub Shah. This is the reason why he created Taramati Baradari with astonishingly fine acoustics so that her voice would reach him at the Golconda Fort, which is lesser than 3 km. The acoustics of Taramati Baradari is of such high standards that it is often compared to the one in Bala Hisar of Afghanistan. This place has great acoustics and because of its association with Taramati, who had dedicated her entire life to dance and music, it is now used for performances on classical music and other folk art forms. Presently, it is a cultural complex which is run by TSTDC where various events, concerts, performances and exhibitions are conducted. The complex is consisted of a large open air theatre, along with a conference room and business centre. The open theatre has a seating capacity of 1,600 people, while the other theatre can seat about 500 audiences. The restaurant here offers local as well as international cuisine. If interested, you can also stay at the Taramati Baradari hotel here. 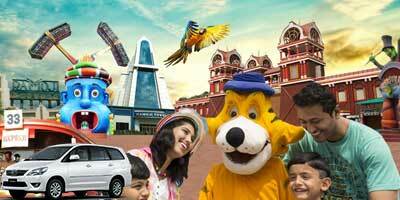 Haritha Resort, equipped with all kinds of modern amenities offers luxurious stay. Spend the day exploring architectural beauty of one of the popular monument of Hyderabad, dine at the restaurant, unwind at the bar and relax at the swimming pool or at the gym if you are a fitness enthusiast. Apart from these, the place has billiards table and a souvenir shop. 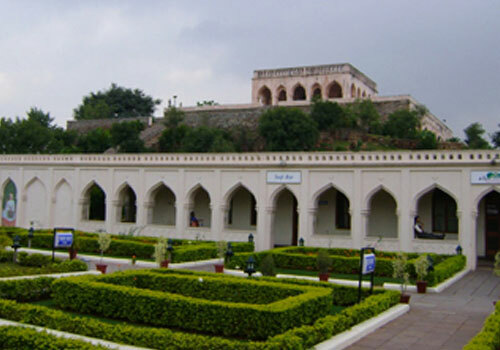 One can visit Taramati Baradari throughout the week. 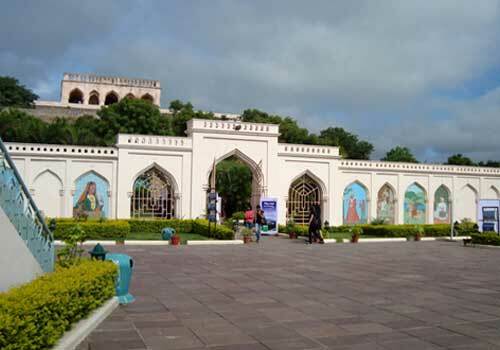 Taramati Baradari visiting hours is from 11 am to 6 pm. 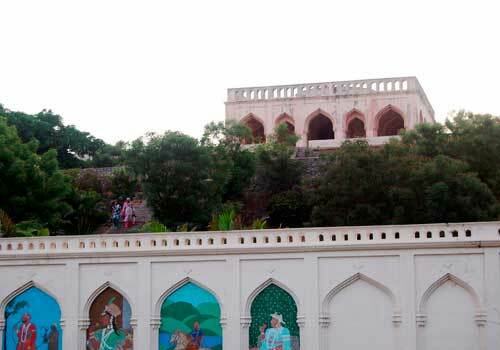 The entry to the complex is free.Along with Golconda Fort, other tourist destinations near it are Qutub Shahi Tombs. 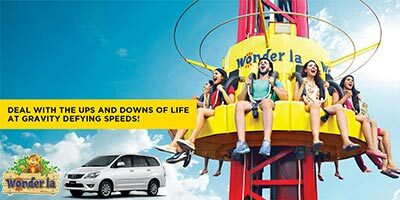 You can also take a long drive to Osman Sagar Gandipet from here. The story behind this place is also very interesting. 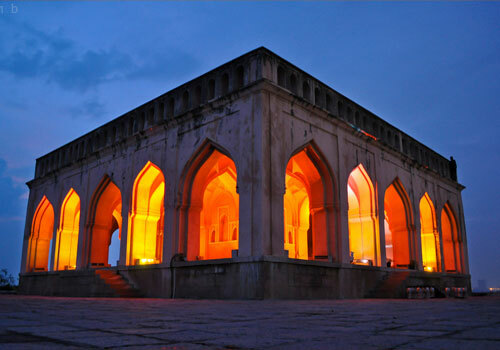 It is said that Taramati was a great dancer and favourite of 7th sultan of Golconda fort. He used to like her voice so much that he created this place with amazing acoustics. He got it created in such way that the voice of Taramati used to reach him at the fort! This place is that why called taramati Baradari. It is on top of a hill so the view is good from there. Timings for visiting Taramati Baradari is 11 am to 6 pm. 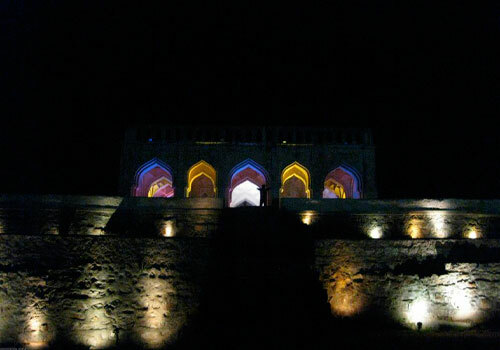 Taramati Baradari is now used for many cultural programs. It’s a unique experience to watch show at its open theatre. I had watched once and I just loved it. On other days also you can go to see the place but after 5-10 minutes you will just get bored! We went there in evening, the visiting hours for Taramati Baradari is from11 to 6 so plan accordingly. When you enter Taramati Baradari you will be mesmerized. It is beautiful. There is a lawn, and the main building is on the top. 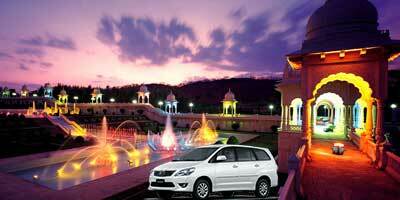 You also have a restaurant and a huge amphitheatre, a hotel and also swimming pool at Taramati baradari. 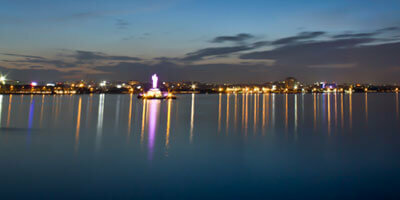 It has everything, if maintained in good way it can be one of the best attractions of Hyderabad. The lawn is also not clean, you can see wrappers here and there. Such a loss of great potential! 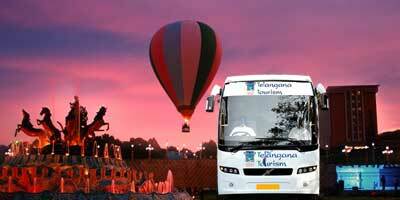 It is quite close to Golconda fort. We dedicated an entire day for these places. First we went to Golconda fort, in morning itself, before it gets too hot, explored the fort leisurely. From there we went to Taramati baradari entry timings starts from 11 am. We went there around lunch time, had nice lunch and then saw the main structure. It's huge and quite calm on the top. Although it was not the right time, better to go in evening. From there while coming back we went to Qutub Shahi tombs. It was a good day! I often visit this place. Unlike Golconda fort, it is not crowded. You can get your space at such as beautiful and historic building. 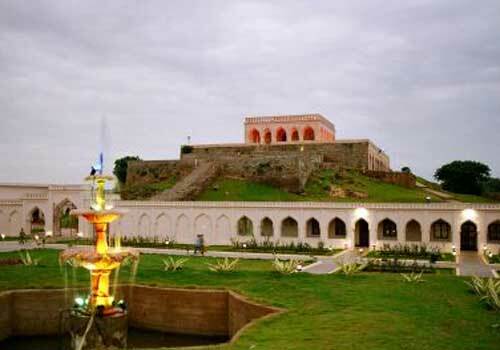 Taramati Baradari visiting hours is from 11 to 6 pm. I often go there in evening. Go to the top and sit, its very refreshing with cool breeze and quite calm there. The view from top is also good.